The UK Creative industry takes over a day at SXSW, to debate how creativity and advertising - and more trust in trust itself - will save an increasingly technological and divided world. Has trust become the new currency? Should companies invest in building trust to ensure they keep their customers happy and build commercial strength? On March 9th, the UK Creative industry is taking over the British Music Embassy for a series of talks, debates and networking during SXSW in Austin, Texas, to set out the case for trust. The UK at SXSW day is backed by the UK’s Department of International Trade (DIT) and Promote UK, and curated by the Institute of Practitioners in Advertising (IPA), with support from the Advertising Association. Leading UK businesses, and special guests, will showcase their expertise over a series of interactive sessions. The sessions will debate questions including can you trust advertising? Is media killing social media? And can advertising heal a divided world? The day will also cover how to put creative magic back into human hands, and augmented AI – as well as a talk by Aoife McGuinness, neuroscience consultant and Neil Davidson, managing director and partner at HeyHuman about the links between advertising and neuroscience (voted one of the top five talks of SXSW this year). There will also be a session discussing seperate recent research studies by UK advertising’s think tank Credos and McCann Worldwide on public trust in advertising and how the situation compares with the US. Janet Hull, director of marketing strategy at IPA and chair at Promote UK said: "We are delighted to be hosting the first dedicated UK advertising day at SXSW this year. This will be the important next stop on our Promote UK group’s month-long celebration of UK ad excellence. "Our aim at SXSW is to raise awareness of British advertising on a global platform to drive reputation and engage with industry leaders and creatives from across the world. We are confident that the businesses joining the mission to SXSW will be great ambassadors for the best of UK advertising". Breakfast, lunch and refreshments will be available. Heading to SXSW? Don’t miss The UK at SXSW day on March 9th 2019 from 10am - 6pm. The event is free to attend and open to all. To join us at the official UK Advertising @SXSW Opening Reception at the British Music Embassy on Friday 8th at 8pm featuring showcase performances by UK bands including Ferris and Sylvester - please register at the ‘UK at SXSW’ site here. 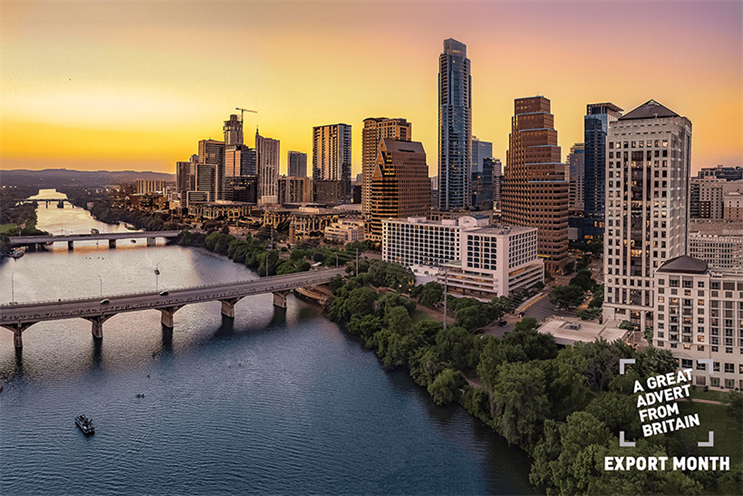 DIT is supporting over 35 advertising and interactive UK delegate business at SXSW, and this is one of a range of DIT-enabled events, including networking events, workshops and demo and meeting facilities on the UK trade stand.